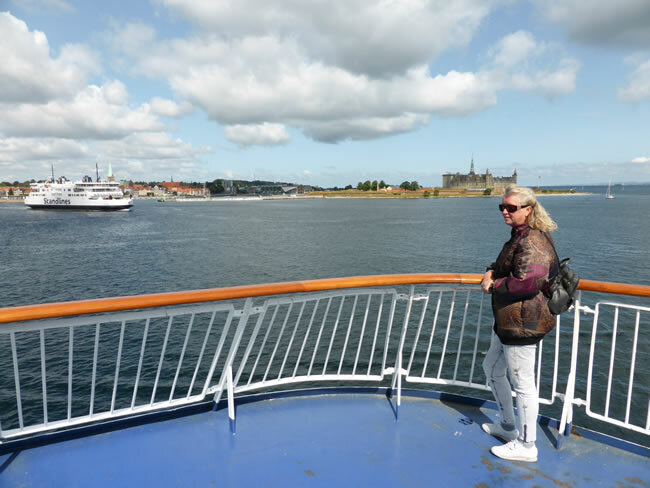 The ferry from Helsingborg in Sweden to Helsingor in Denmark only took 20 minutes. Kronburg Castle, seen in the distance here, is known as Hamlet's Castle. It is referred to in Shakespeare's Hamlet by the name Elsinore. Whether or not Shakespeare ever visited Kronborg Castle is not known.